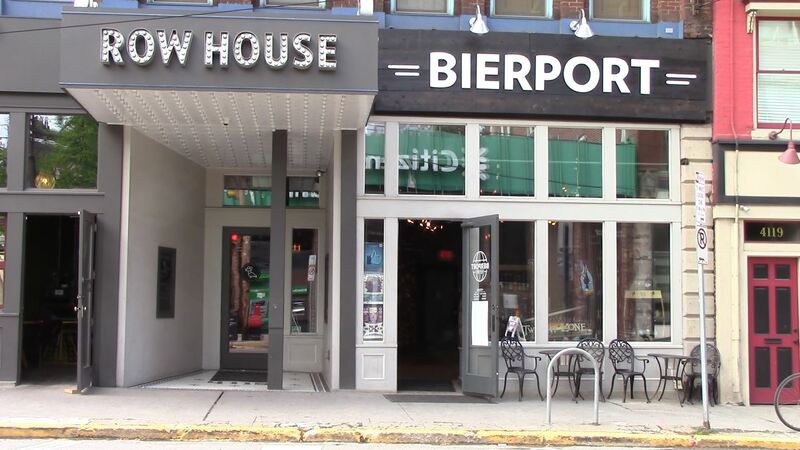 Let’s make one thing clear at the start: yes, you can take bottles from Bierport into the theater at Row House while you watch a movie there. There are two signs and two entrances to what seems like two businesses on Butler Street in Lawrenceville. But Bierport bottle shop and taproom and Row House Cinema are one and the same. 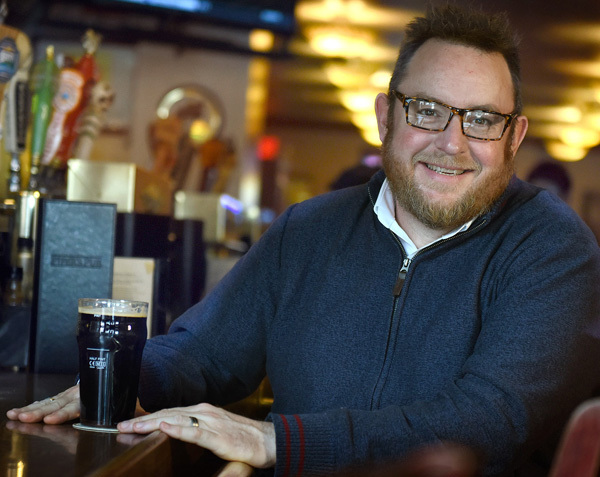 And general manager Theo Ackerson said that was pretty much the plan from the beginning — to address some of the things the neighborhood didn’t have, like, say, a bottle shop. Lawrenceville has changed some in the two years since Row House and Bierport opened their doors. The neighborhood is no longer a craft beer desert, for example. And Ackerson said the beer side of the business has changed as well; it added a basement tap room about a year ago and changed its name from the original Atlas Bottle Works earlier this year after the owners discovered a trademark dispute involving two breweries using the Atlas name. Bierport and Row House are part of a growing segment of businesses that saw an opening as the state began to change how it interprets its liquor laws, giving new opportunities for businesses selling beer and food. But Mr. Ackerson, owner Brian Mendelssohn and the others there aren’t content to just serve up beer with popcorn and classic films; they’re putting some thought into those presentations. Last year’s release of Goose Island’s Bourbon County Brand Stout merged a tasting of the sought-after beer with a ticket to see a documentary about making the beer. But you’re not going to just get stuffy documentaries, either: why not make Flying Dog — and its Hunter S. Thompson-themed beers — your brewery of the month while you have “Fear and Loathing in Las Vegas” showing on the screen next door? For those who work at Bierport and Row House, finding those common themes has to be easy when the bottle shop has more than 850 beers available. And that should make it pretty easy for you to find something you like as well.